IIR is pleased to announce that Karen Ignagni, President and CEO of AHIP has been added to the speaking faculty at the upcoming FDA/CMS Summit for Payers. Ignagni, the voice of health insurance plans, will headline a keynote session on Pricing and Reimbursement - The Tipping Point in the Future of Healthcare. Recognized as one of the strongest and most effective lobbyists in Washington, Ignagni will provide compelling insights and a valuable perspective. Download the newly updated brochure here. 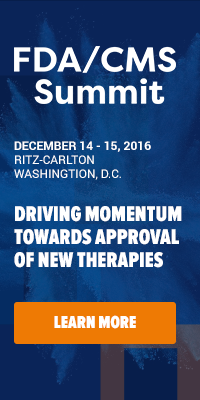 The Inaugural FDA/CMS Summit for Payers, scheduled for December 11-12 at the Fairmont Washington, will bring together the FDA, CMS and C-Level health plan and pharma executives to collaborate on important industry issues, including innovative technology, pricing and personalized medicine. Together we will tackle monumental issues facing the healthcare industry—such as the approval of the Hepatitis C drug, Sovaldi, as well as the impact of the ACA and the significant changes it has brought about to your daily operations. Plus, if you register by this Friday September 26th you will save $500! Click here to reserve your seat and please mention the code XP1917BLOG for your special savings.